A former director general of the BBC has blamed women television executives for making the corporation's programmes "dumb, dumb, dumb". 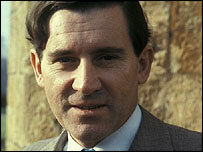 Alasdair Milne, who was in charge of the BBC from 1982 to 1987, made the comments to The Times newspaper. He said the BBC had been dominated by women over the last five years, leading to too many lifestyle shows. A spokesperson for the BBC said neither it, nor chairman Michael Grade, shared Mr Milne's views. Milne told the paper: "It just seems to me that the television service has largely been run by women for the last four to five years and they don't seem to have done a great job of work." Describing a discussion over lunch with new BBC chairman Michael Grade, he said: "I told him I thought the programmes were terrible. "There was no innovation; constant makeovers and far too many cookery and gardening programmes. Dumb, dumb, dumb," he said. "I think the BBC has to pull its socks up quite considerably." Milne defended his statements to the paper, saying he was not biased against women in general. "I have nothing against women - I've worked with them all my life," he added. Female executives at the BBC include BBC One controller Lorraine Heggessey; Jane Tranter, head of drama commissioning and Jane Lush, head of entertainment commissioning. As director of television, Jana Bennett has responsibility for BBC One, BBC Two, the digital channels BBC Three, BBC Four, as well as overseeing content on the international channels BBC America and BBC Prime. Her production record includes Walking with Dinosaurs, The Human Body, Meet the Ancestors and Back to the Floor.